From the centre of the village of Parghelia, just a few steps away from the Villino, you will arrive at a promontory known as “u pettu”. From here, the visitor can admire a spectacular view of the underlying beaches, the Marina and the Rock of Tropea and the Island of Stromboli, which belongs to the archipelagus of the Aeolian Islands. 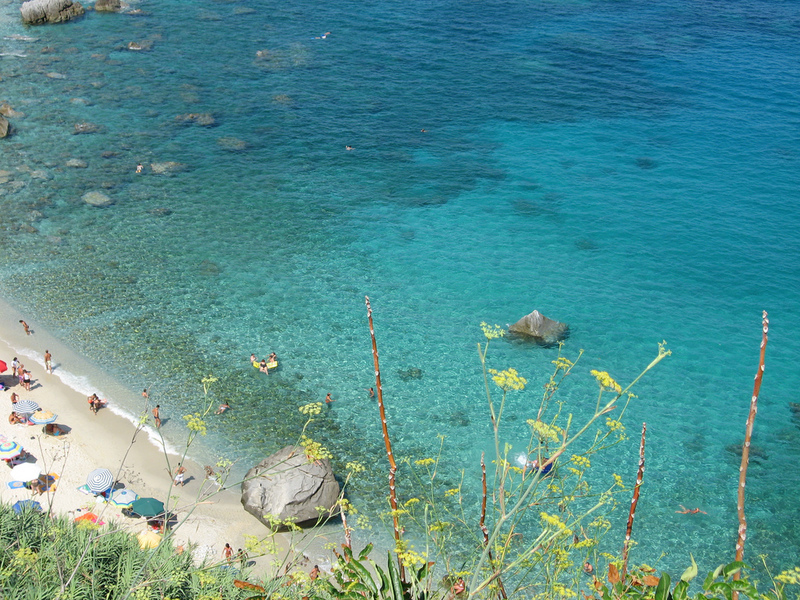 Michelino beach is easy to reach on foot down a flight of steps. 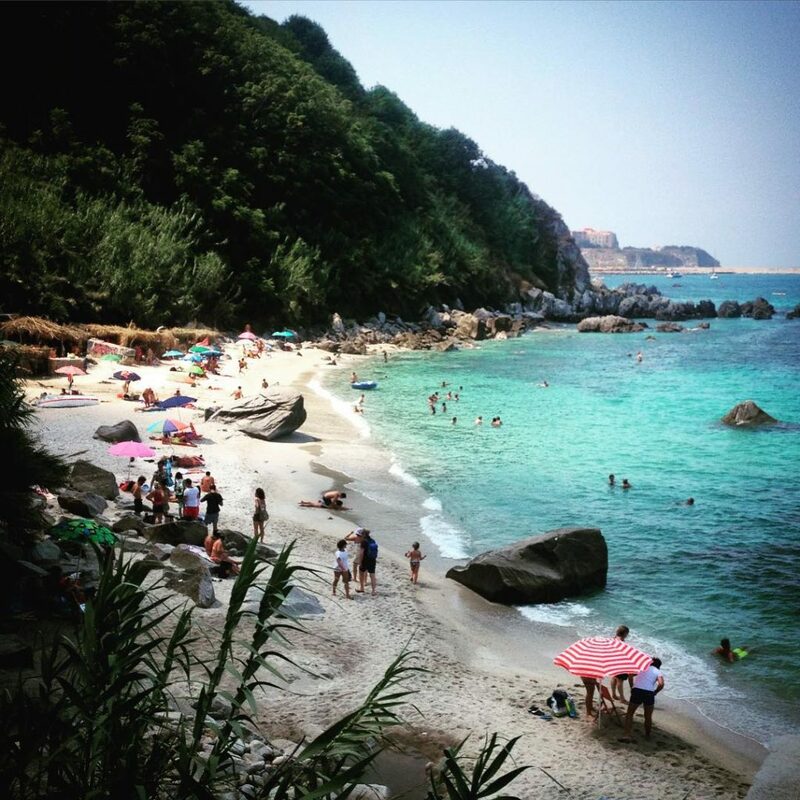 The sandy bay, framed by rich Mediterranean vegetation, looks out onto the impressive St Andrea rock and the Pizzuta stack, which the inhabitants of Parghelia call “Il Palombaro”. After the rock called “d’ ‘a Madonna” – legend has it that the ship which brought the painting of the Madonna of Portosalvo landed here – and the ones called «le Taverne» (renowned in the past for coral fishing), we arrive at «Marina of Bordila» and the Parghelia shoreline comes to an end with the seashore of “le Fornaci”. 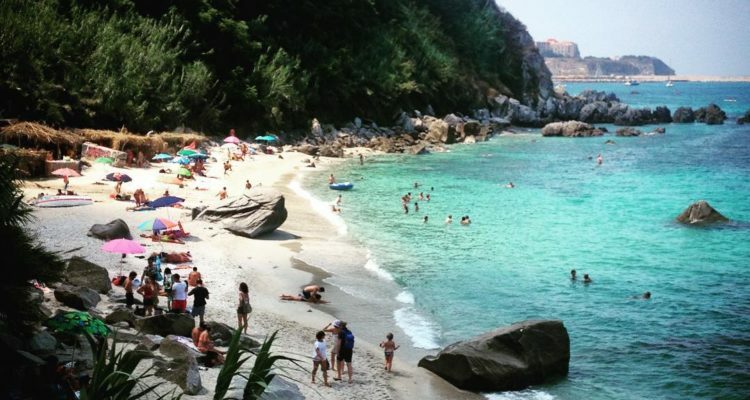 North of Parghelia, the “Costa degli Dei” continues with the coastline of Zambrone, characterized by 4km of brilliant white beaches, which can be reached easily by car.